Why knowing a second language is important? Today, in the interconnected and independent world, it is essential to be multitalented. Those people who refuse to learn new languages are still following some traditional myths which have lead them to nothing. In the today world, the ability of knowing an external language can be very helpful. Growth is always best for human beings. In order to advance in today’s growing economy, you must have multiple skills and being bilingual is one of them. You can surely learn a second language fast, if you have made up your mind but first you must accept that it is important. Consider the example of a doctor. If he can communicate with a patient in his native language, he is more likely to be successful in diagnosing him. Nevertheless, if you have the ability to speak a foreign language, you will be considered a valuable candidate. Which language to learn depends on your field of study or career. You can compete with your monolingual peers. Being able to express yourself in different languages is a key aspect to be noticed. As a plus one, language skills lead to bonuses and salary increments. With the help of a new language, you will be able to stand out from the crowd. To other cultures, language is a direct connection. 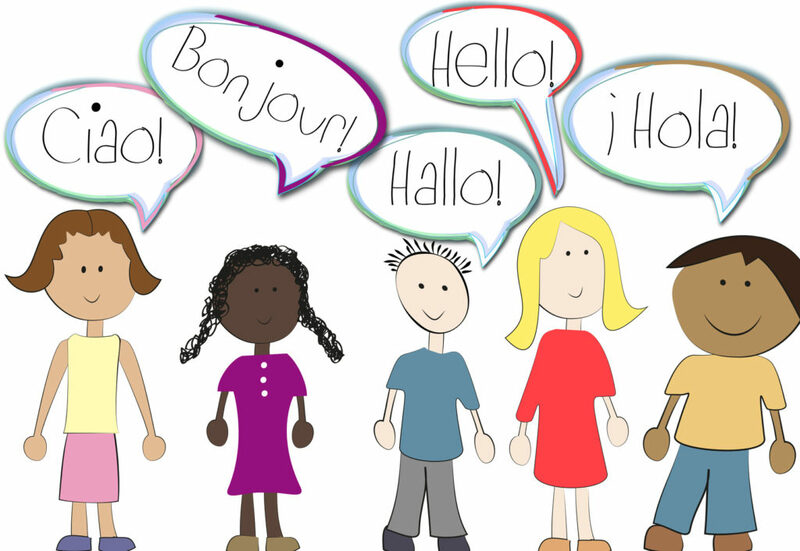 Communicating in other languages helps us to learn the traditions, arts, religions and history of different cultures. Where there are good communicating skills, there is better understanding. Study shows that those people who have exposed themselves to more than one language are open-minded and positive towards everything. Having the ability to communicate with other people is an incredible gift. We will be able to connect with others through their languages. You can become a local once you know the language. You will be rewarded with kindness. You will be able to build endless friendships. All of this will make you realize that learning new languages is an art. It is proven that those people who speak more than one language have enhanced memory, critical thinking skills, problem-solving skills, more commitment, ability to multitask, and not to mention, they have great listening skills. By learning a new language, you will be able to notice the little changes in the environment. Knowing at least more than one language can give us access to the kind of information that would otherwise be off-limits. You can revolutionize your road trip by travelling as a speaker of the local language. Those who are monolingual get to visit the same places but, those who know more than one language can explore wonders. You will be able to open doors of success by learning new languages. When we learn a new language, it is natural for us to start comparing things. Learning another culture sheds light upon the aspects that were not always clear to us. You can discover both positive and negative aspects of the culture. You can discover your flaws with learning a new language. Speaking in front of an audience can boost your confidence. Flaws are a part of learning. You have no idea how happy you will be once you get the chance to communicate with a native in their language. Usually, in high school, we are taught a second language. It would be a great idea if you continue learning that language. You won’t have to start from scratch because you already know the basics. If you were good at it, chances are you will pick the language fast. Later on, you can use this second language to seek out career opportunities or even study abroad. Companies are looking for employees who can speak more than one language, if you have chosen one of the highly demanded languages in the world, then your worth will increase. Learning a new language also makes you a better learner. How, you ask? You keep on figuring out ways to learn things more efficiently or in other words, you develop your own language learning hacks. You can even share these hacks with others and make their journey of learning a new language easier than yours. So, what are you waiting for? Pick a second language and start learning it.